Be one of the first people to celebrate in our new renovated multimillion dollar venue. We specialise in creating the perfect setting for you to create lasting memories. Not only is the space bright and welcoming, it also offers panoramic and stunning views onto the beach to take your event all the way to the sandy shores. With breathtaking features in every corner, the event space is versatile and can host events both large and small, whether for a business meeting, wedding or private party. No detail is overlooked in this space, with plentiful AV equipment, a lavish bar and elegant furniture for use. Our chefs and dedicated events team will work closely with you from start to finish to take the stress off your shoulders. We will guide you through our specially curated packages by our new kitchen team. Our events team will also be more than happy to help you curate a custom offer to suit your event needs and ultimately, bring all your dreams to life! 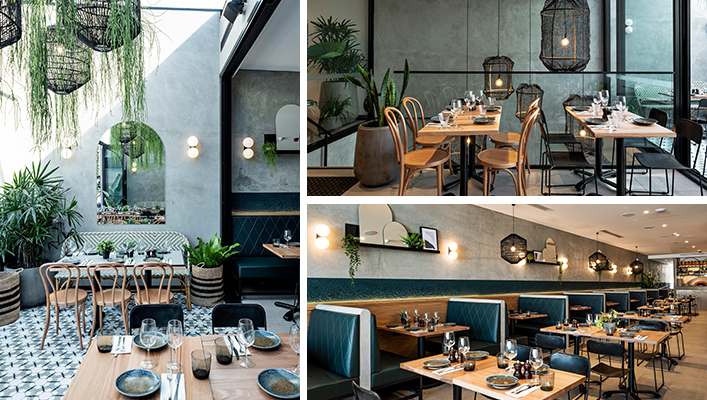 If you’re ready to escape to our stunning seaside oasis and immerse yourself in all that we have to offer, please contact us at info@cafeneptune.com.au or call us on 0423 144 034, The Neptune’s family will be ready to help and host you in this brand new and iconic space. Please fill this form in for booking of 15 or more. Our events space is the ideal venue for a birthday party. Over the years Neptune’s has hosted dozens of parties here for 21st birthdays, 50th birthdays and more which have all gone off with a bang. Contact us to inquire about booking our events space. Neptune’s is well-equipped with AV equipment, a lavish well-stocked bar, and high-end furnishings. All of the necessary requirements for a great wedding reception that will be enormously enjoyable. Contact us to inquire about booking our events space. Extensive AV equipment, comfortable furniture and great panoramic view of the beach, make our events space perfect for your next business meeting or conference in Brighton Le-Sands. Contact us to inquire about booking our events space.